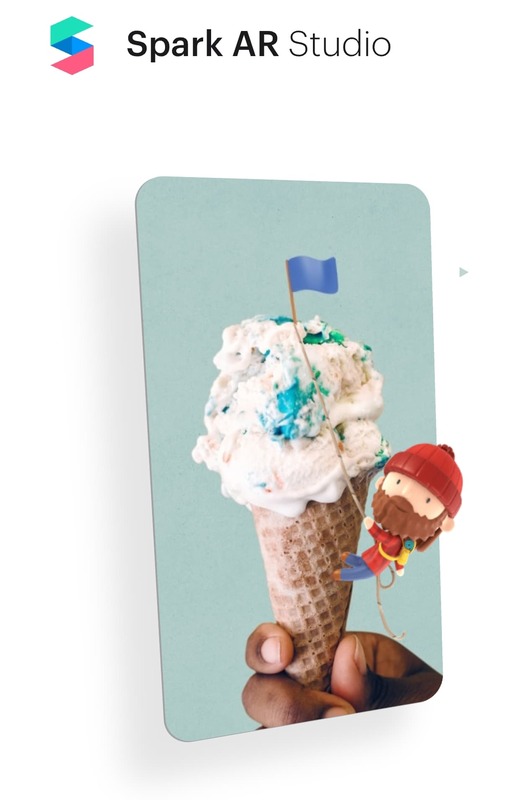 The link provided on the message takes you to www.sparkar.com a brand new website that contains samples of work done by different creators, tutorials, a link to the effects manager and a button to download Spark AR Studio, which is still only available for or Mac OS 10.12. or higher. Another announcement was also made, and no, I know you are thinking, is it available for Windows? The answer is still no. The website only invites you to join their mailing list. The other announcement is actually about Instagram. 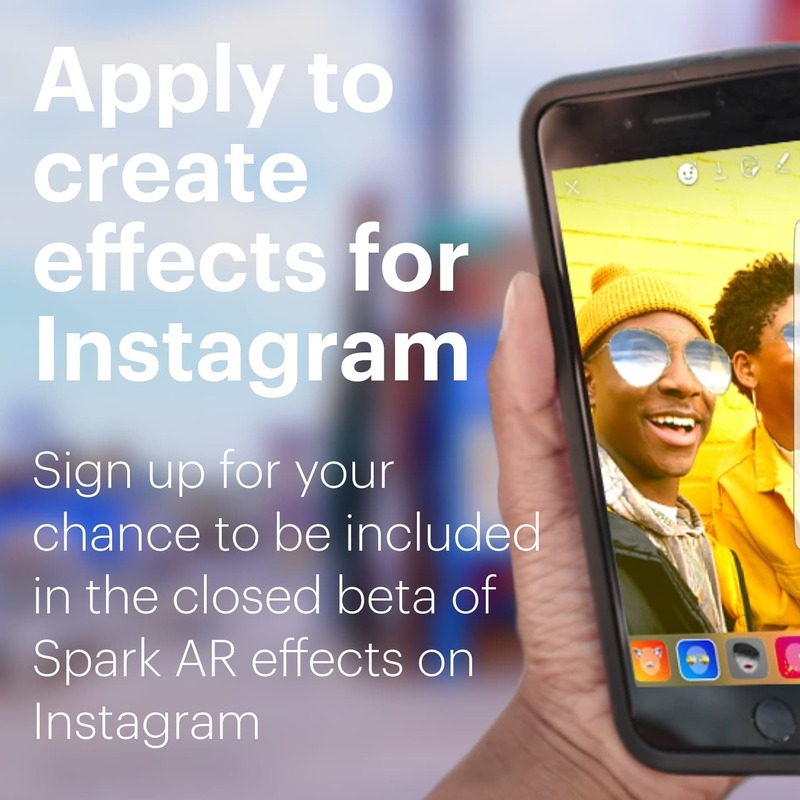 Facebook is accepting beta sign-ups for Spark AR on Instagram! 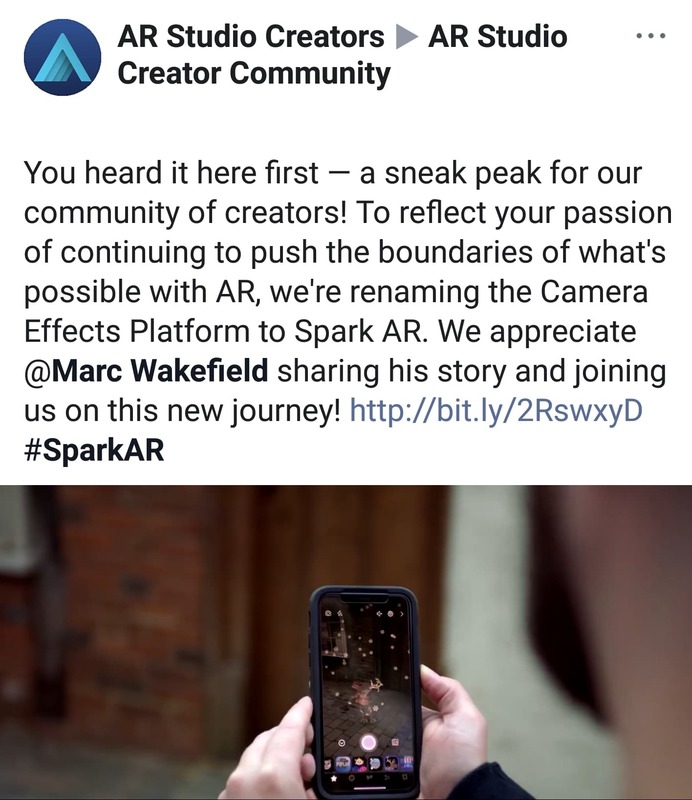 If chosen those creators will be among the first to use Spark AR Studio to create and share AR experiences on Instagram. Go to http://bit.ly/2Pbb4sz to complete the application if you are interested in signing up. There might be some people disappointed the announcement didn’t include the release of a Spark AR studio version for windows but I’m sure there is going to be a lot of people happy to hear Spark AR is coming to Instagram soon! What do you think about the announcements? Let us know!